Electro Harmonix have enhanced their popular Bass Big Muff into this new reincarnation. The Bass Big Muff Pi is the latest in their line of bass effects specifically tailored to the needs of modern bassists. 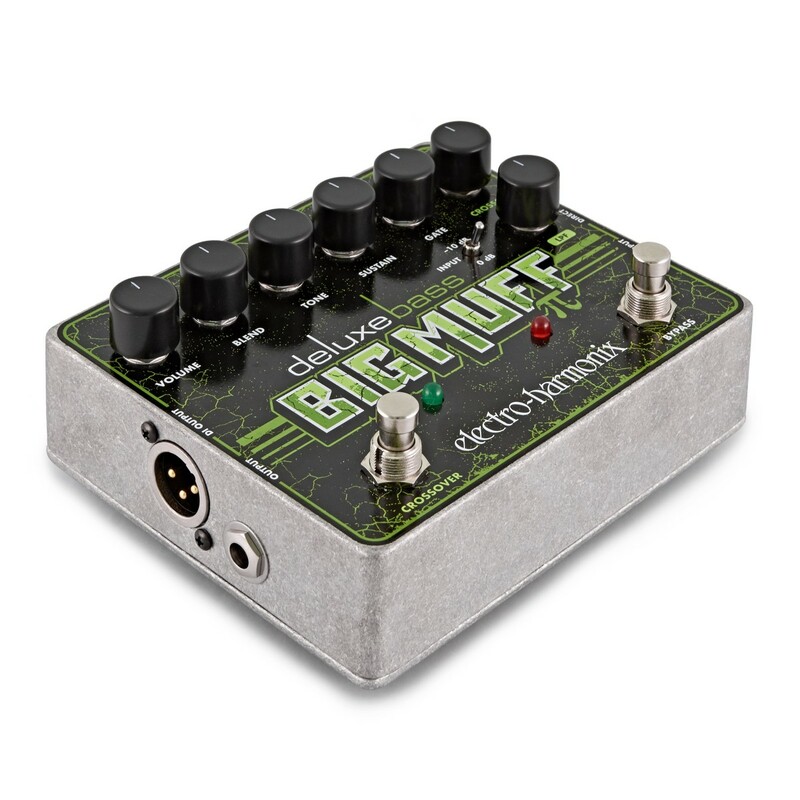 Improvements have been made to the Bass Big Muff's Volume, Tone and Sustain controls beginning with a pad on the input control which you can switch between odB and -10dB ensuring the pedal is equally effective with both passive and active pickups. Blend allows you to mix the direct and distorted signals. 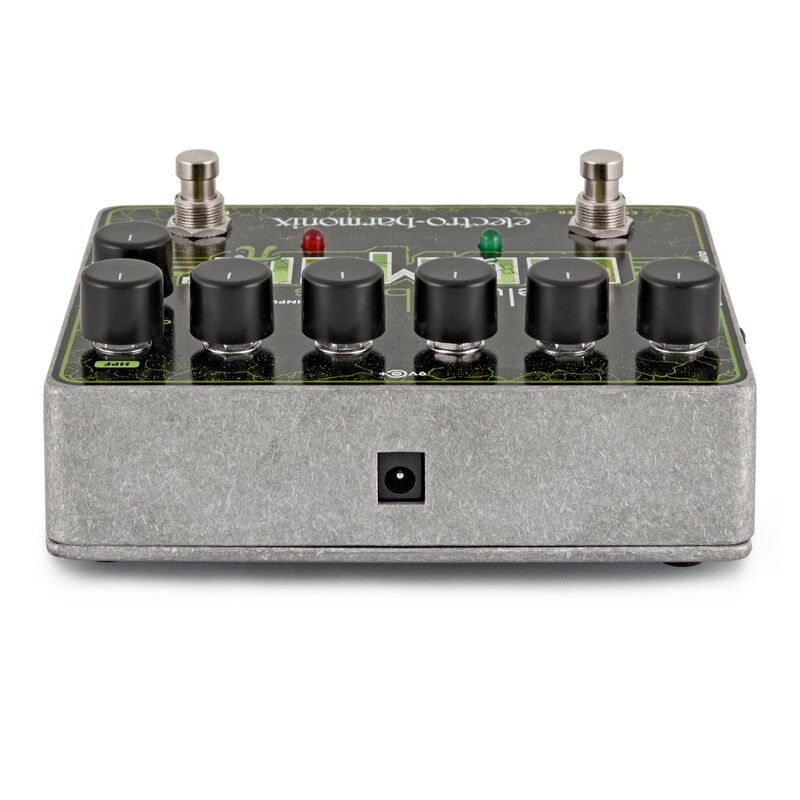 With three outputs; a 1/4" effect out, a 1/4" direct (buffered dry) out and an XLR DI out you have complete control of your output signal and individual sound. A built in noise gate with adjustable threshold eliminates any unwanted hum. 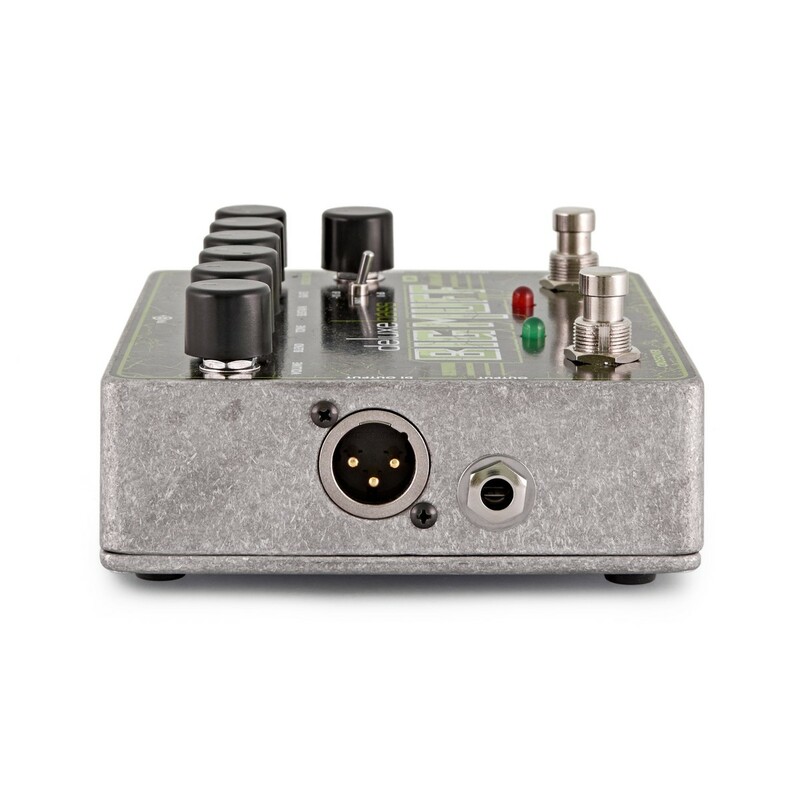 The Bass Big Muff Pi also boasts a foot switchable crossover section with a variable low pass filter on the dry signal and a variable high pass filter on the distorted signal. This gives you the ability to sculpt your own bass sound. This, in conjunction with the Blend, enables you to keep the low end clear and focused with the Low Pass Filter and the high end bright and cutting with the High Pass filter. 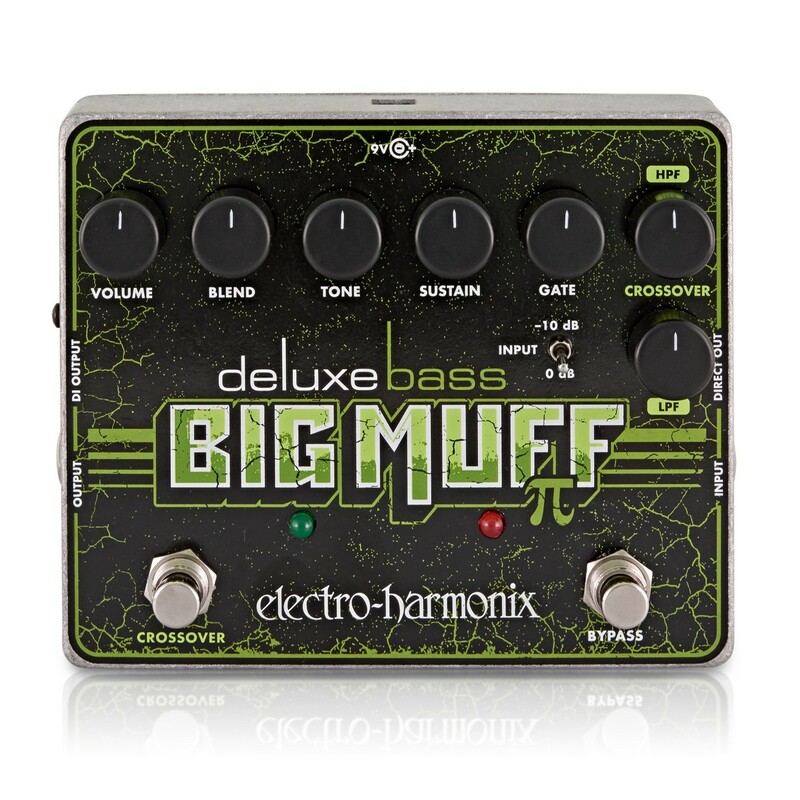 This new Deluxe Bass Big Muff Pi is housed in a solid die-cast casing and equipped with a 9 volt battery. It can also be powered by an optional standard 9.6 V/DC200mA AC adaptor.